Sedona Red Rocks Rotary hosted their 6th Annual Oktoberfest on October 20. The views alone are spectacular, but the breweries, music and people make this the best Oktoberfest this side of Germany. 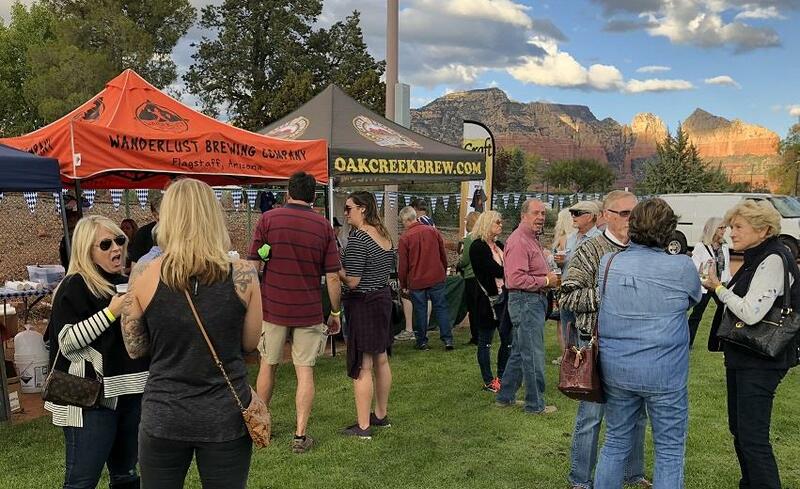 The club hosted over 900 people with four Arizona breweries and local food trucks for all to enjoy. Everyone had a blast, and the music from the Polka Katzen and the Naughty Bits kept the dance floor hopping. No Oktoberfest is complete without a beer stein-holding contest. One male and one female winner was awarded tickets to Out of Africa Safari Adventure. The Sedona Red Rock Rotary had more than 20 members, family and friends on hand to set up, serve and clean up, which went from 4-to-9 p.m.